Abigail and Tony have a perfect marriage with big plans for the future. Only, as we all know, plans never seem to go the way we intend for them to. When Abigail goes missing, Tony's world falls to pieces. He becomes desperate to find his wife and frantic to cling to his sanity. 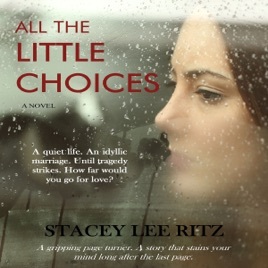 All the Little Choices is a gripping story told in two voices: Tony, in the present day, determined to find his wife alive, and Abigail, in the year leading up to her chilling disappearance. Secrets emerge. Questions loom. And tensions rise. Who can you trust? What is the truth? What really happened to Abigail? And...how far would you go for love? Kept me interested the whole time! This book was awesome and kept me guessing the whole time! I was into the story from the start. The book kept be guessing from start to finish. Great writing, great narrator. I really enjoyed this book and look forward to more like it from the author!